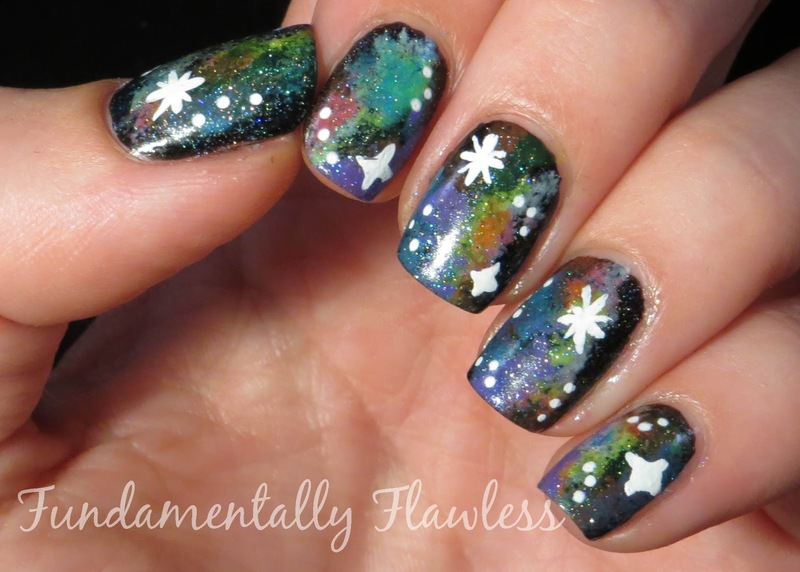 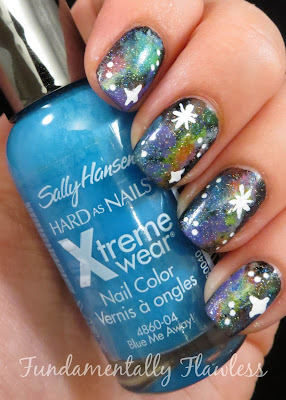 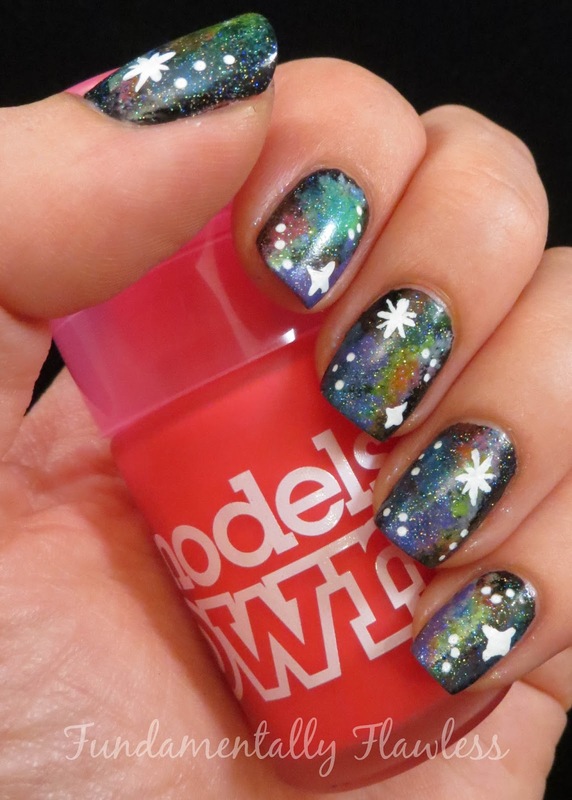 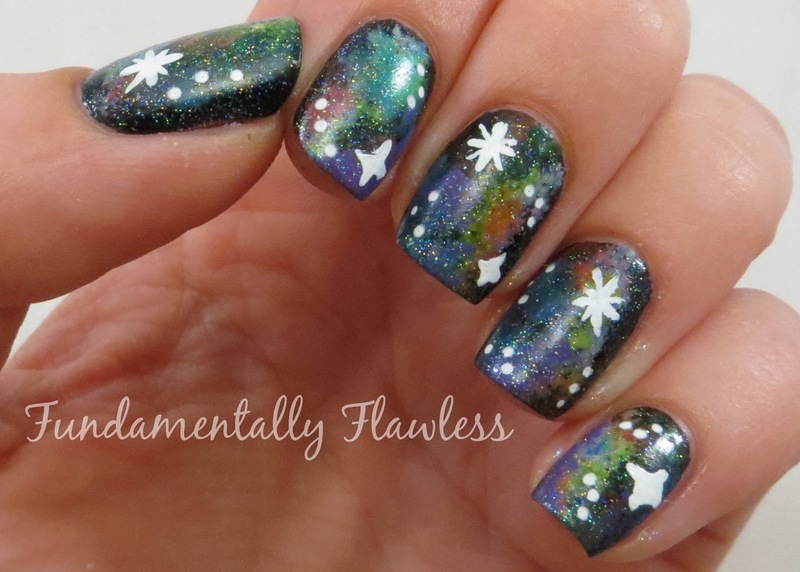 On Tuesday I posted my first galaxy nails and a tutorial on how to do them. 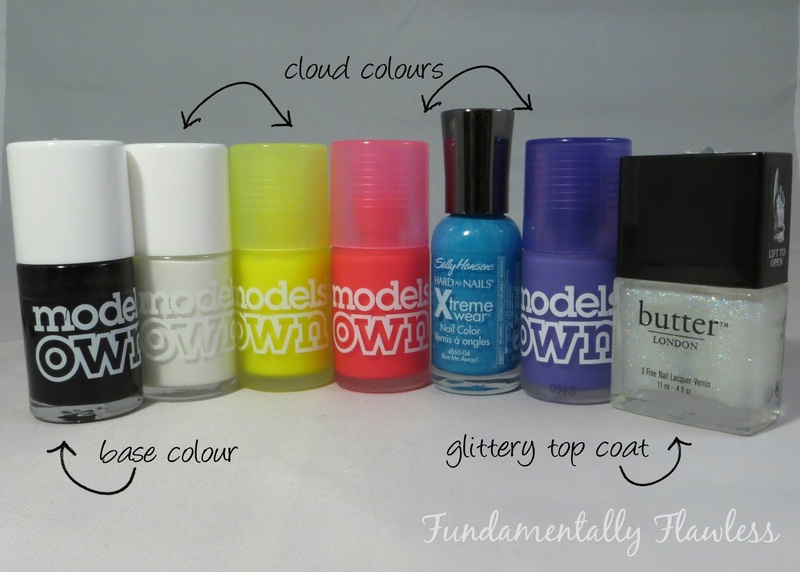 Models Own shared them on their Facebook page and said they'd love to see them in neon tones... and I couldn't resist having a go with the Models Own Ice Neon collection. I started with a base of Models Own Black Magic then sponged on clouds in Models Own Snow White, Models Own Luis Lemon, Models Own Pink Punch, Sally Hansen Blue Me Away and Models Own Pukka Purple. I topped all the nails with Butter London Frilly Knickers for the sparkle. 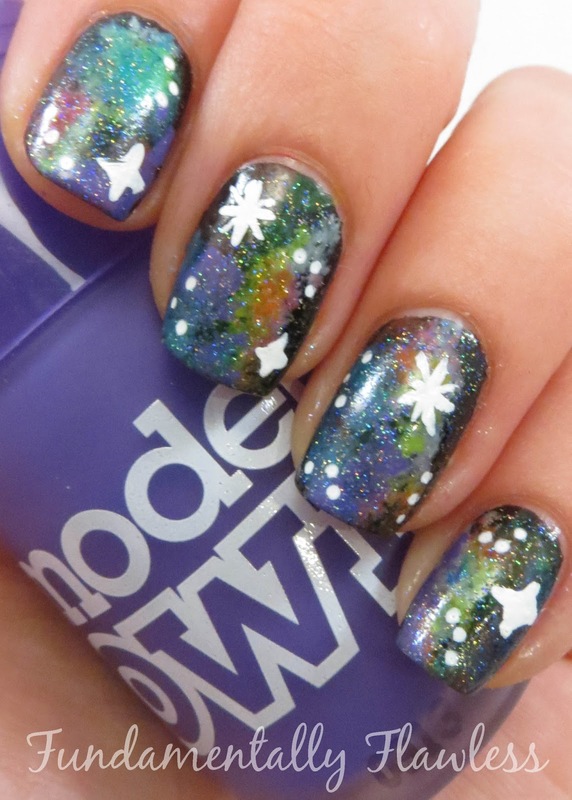 I did the stars with the Barry M White Nail Art Pen and the Models Own White Nail Art Pen. Promise this is the last galaxy nails post I'll do for a while! What's better than galaxy nails? 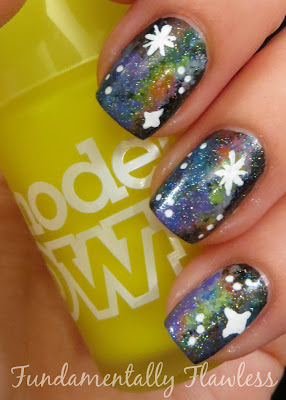 Neon galaxy nails! 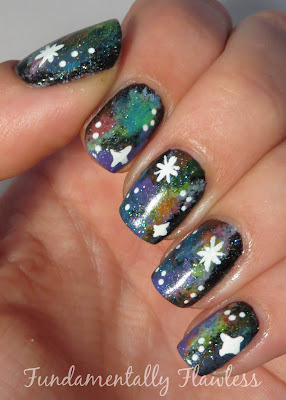 Great job, I love them! Thanks! 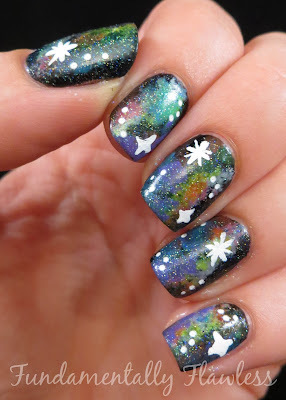 I think galaxy nails are my new favourite thing...!